It also managed to replicate 1940s comic strip technology in the Apple Watch more than two years after its launch, an advance that analysts say will spur sales. Apple Inc on Tuesday rolled out its much-anticipated iPhone X, a glass and stainless steel device with an edge-to-edge display that Chief Executive Tim Cook called "the biggest leap forward since the original iPhone." But shares of Apple Inc in overnight trade stunting a euphoric rally in the major Wall Street indices which hit record closing highs on Tuesday. Apple's shares closed a volatile trading session 0.4 per cent lower at $160.86 after rising as high as $163.96 following the unveiling of its 10th anniversary edition of the iPhone. Apple's release date of November 3 was later than some investors had expected. While some investors cited worries about whether Apple would face supply shortages, others said traders were just taking profits. "There were no blockbuster surprises although what they're doing with the products is all pretty good," said Ghriskey. 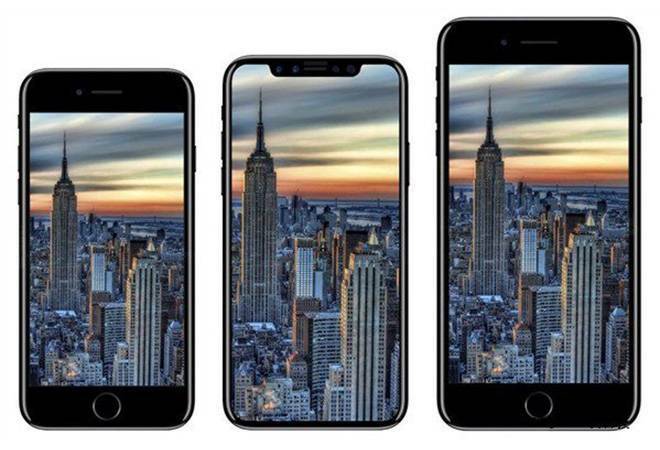 The new iPhone contained few surprises, with leaked details on the phone and other products including an updated Apple Watch proving largely accurate. But the iPhone X's $999 price still raised eyebrows, and its November 3 ship date prompted questions about possible supply constraints ahead of the holiday season. The iPhone maker was the second-biggest drag on the S&P behind McDonald's, which fell 3.2 percent to a more than one-month low on concerns about its third-quarter results.